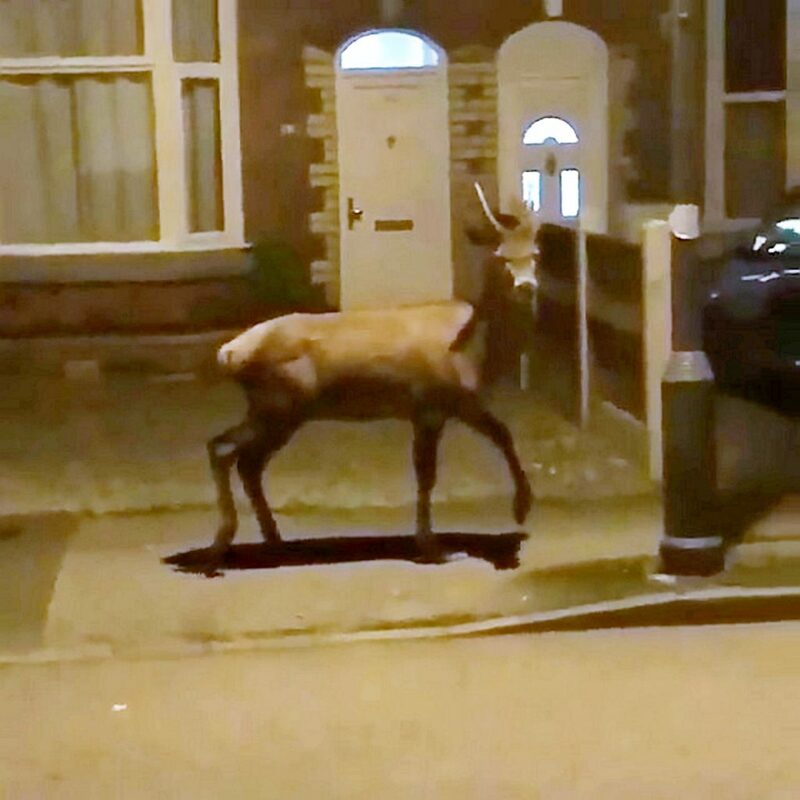 The huge animal was spotted on South Street in built up Erdington, Birmingham, at around 10pm. 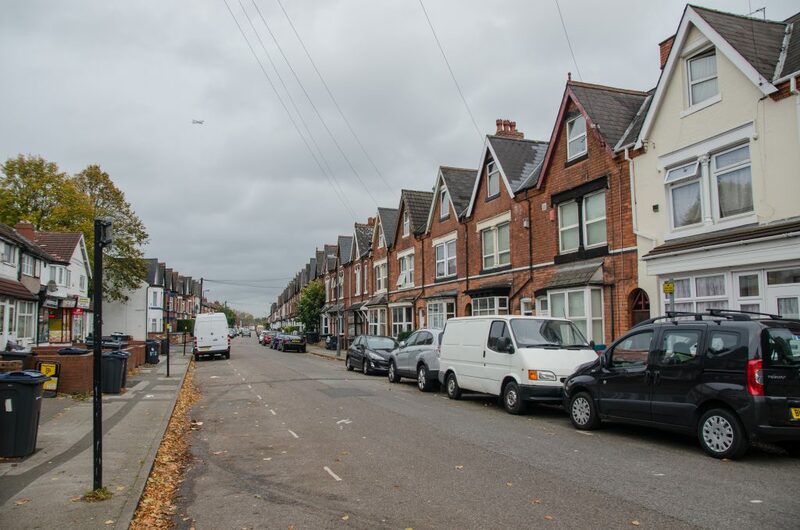 The bizarre footage shows the animal – which could be a stag or a doe – prowling down the residential road, sticking keenly to the pavement. 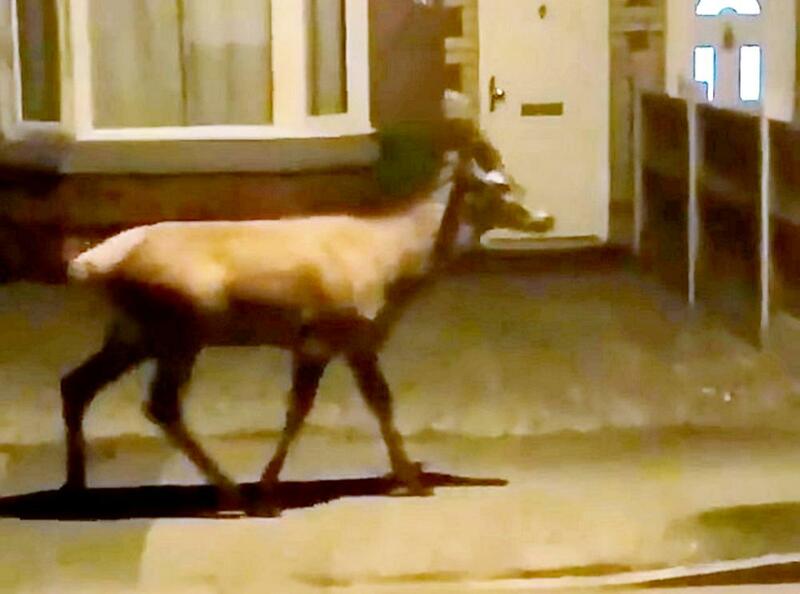 At one point in the 23 second video the deer is seen peering round at the cameraman, before continuing to make its way past a row of parked cars at around 10pm. The video, which was uploaded to Instagram by ‘Birmz is Grime’ on Wednesday (11/10), has been viewed over 7,000 times after being shot last week. Claire Spencer, 46, an accountant who lives nearby, said: “I was shown the video by one of my colleagues during my lunch hour, and was completely baffled by it. “There are no animal sanctuaries or big parks round here, so where it came from is a bit of a mystery, really. “Erdington is the absolute last place you’d expect to see a deer, to be honest. “There’s loads of people around, and hardly any space for an animal like that roam around. “I wish I had seen it up close and personal, because it looks like a beautiful animal, it really does, and it’s rare that you get the chance to see them in the flesh. Dave Cliff, 23, a warehouse worker, said: “One of my mates messages our group Whatsapp group to say that they’d seen a deer, but until I saw the clip on Instagram, I didn’t believe it. “This is probably the very last place that a deer would want to come, so I don’t know why it chose to roam around here.